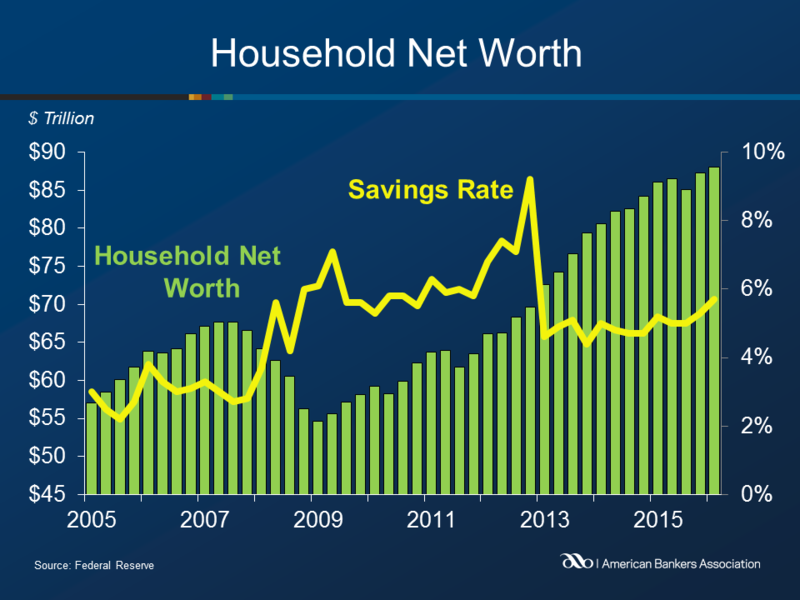 Household net worth rose in the first quarter of 2016 to $88.1 trillion, a 1.0% increase from the previous quarter and a 2.4% increase from a year ago. Household holdings of nonfinancial assets increased during the first quarter, growing 1.8%. The majority of this increase came from real estate holdings, which increased by $498.4 billion. Growth in wealth derived from consumer goods increased by $53.1 billion, compared to a $52.1 billion increase in the fourth quarter. Household and non-profit holdings of financial assets increased 0.4% from the previous quarter. 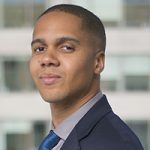 The increase was largely due to increases in deposits and loans, which grew a combined total of $136.9 billion during the quarter. Holdings of debt securities and corporate equities declined, falling by a total of $222.5 billion. Household nonfinancial debt increased at an annual rate of 2.7% during the first quarter, as consumer credit grew 6.1%. Mortgage debt grew at a 1.6% annual rate. The household savings rose to 5.7%, up from 5.3% in the fourth. Nonfinancial business debt rose at an annual rate of 7.9%, up from a 5.3% rate in the previous quarter. Federal government nonfinancial debt increased at a rate of 4.6%, down from a rate of 18.5% in the previous quarter which was due to “extraordinary measures” associated with the 2015 debt limit impasse. State and local government nonfinancial debt increased at an annual rate of 2.2.